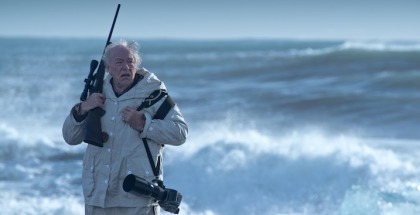 Fortitude struggles to find a satisfying conclusion in this uneven, rushed final season. This contains very mild spoilers for Season 3 of Fortitude and major spoilers for Season 1 and 2. Not caught up? Read our spoiler-free review of the show here. “I’m not putting that in my notebook,” declares police officer Ingrid Witry (Mia Jexen), as she interviews a key witness in Fortitude. 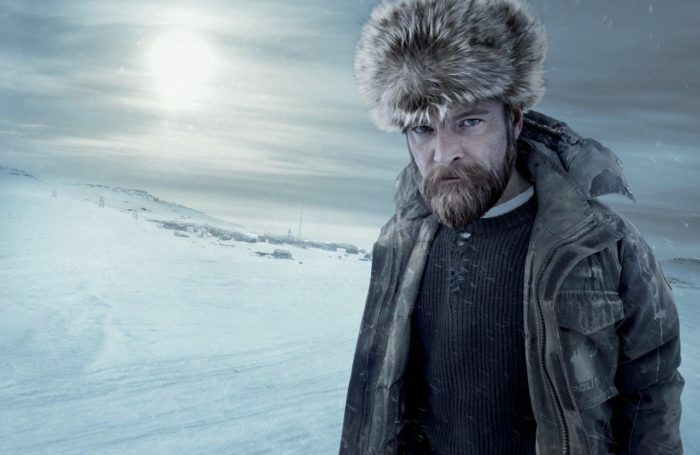 “It’s nonsense.” It’s a feeling that many may well share as Sky Atlantic’s Arctic thriller reaches it third and final season. The series has impressed since its 2015 debut with its unsettling balance of crime procedural, supernatural fantasy, eerie science fiction and unrelenting body horror – all stitched together with stunning visuals and even more body horror. But juggling those balls isn’t an easy ask, and the series has frustrated in equal measure with its inability to keep everything in the air. This final chapter in the saga continues both traditions, but to increasingly disappointing effect. Season 2 smartly jettisoned a lot of the show’s cast, mostly by killing them off, and the whole show’s mythology was boiled down to two things: 1. A bunch of scientists trying to harness the regenerative power of the pesky prehistoric wasps that keep plaguing the town to find a cure for all diseases (and even death), and 2. Sheriff Dan (Richard Dormer) running around butchering people, having been possessed by said parasitic wasps and turned into a psychotic, seemingly indestructible monster. It was a streamlined update to the twisting, winding mysteries of Fortitude, one that left characters by the wayside and strands untied, but moved things along at a brisk enough pace – and with enough dark gore – to entertain. Season 3 builds on that, as we rejoin Dan continuing his descent into madness (and murder). 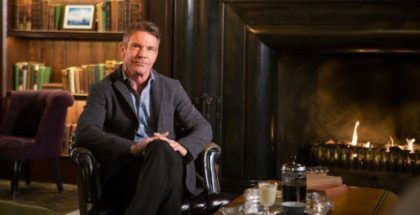 He and Michael Lennox (Dennis Quaid) emerge as two of the main characters, joined by Luke Treadaway’s returning Vincent and his girlfriend, Natalie (Sienna Guillory). Both Vincent and Michael are men shouldering burdens of women they can’t help or couldn’t help; Lennox is grieving for his wife, Treya, while Vincent is restraining Natalie in his basement. The latter is because she’s undergoing her own journey of nastiness, much like many of the residents in Fortitude, and can’t be trusted. The show is at its best when drilling down into those smaller, character moments, which give a human cost to the oodles of death and weirdness that has flooded the screen for two seasons – Vincent and Natalie’s interactions are creepy, tense and moving all at once. 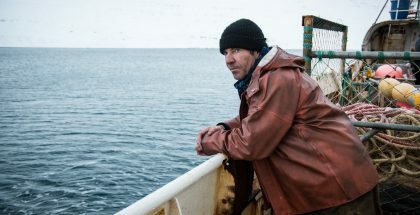 So it’s a shame, then, that rather than focus on the existing residents we already know, Fortitude’s final season starts to introduce yet more people into the mix – and with only four episodes to tell its story, the show crams entire emotional arcs into short spaces, skims over logic and short-changes everyone involved. Chief among the newcomers is Elsa Schental (Aliette Opheim), whose past experiences with the parasites, and connection with Dr. Khatri, make her well informed on the infection’s many benefits, and how to use them to one’s advantage. She’s old beyond her complexion, but also running out of time – and so she plays into Michael’s affections in the hope of getting his help. It sounds like an intriguing complication to the show’s overall conspiracy, but in practice, it muddies the water and takes our attention away from Fortitude itself. 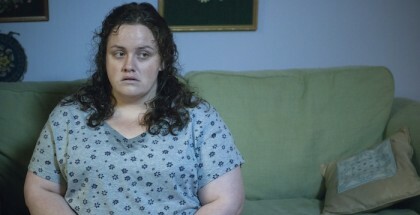 Quaid, who is an Executive Producer on the show, enjoys the chance to sink his teeth into Michael’s depression, but recasting the once heroic outsider as the local town drunk only bogs down the drama, and Elsa’s manipulative streak mostly seems to involve her taking her clothes off repeatedly, which doesn’t exactly count as character development. Not unlike House of Cards’ underwhelming final season, you suspect Fortitude’s third run would have benefited from another few hours to properly deliver on its ambitions and realise its vision more clearly. It’s no wonder, then, that the new detectives sent to the town from Oslo – Myklebust (Maria Schrader) and Oby (Set Sjostrand) – can’t quite figure out what’s going on. With only four hours to wrap things up, you’ll end up feeling the same way. As it is, the main question left lingering is whether anyone can actually leave Fortitude safely in one piece – and the answer isn’t quite what you expect. There’s some pleasure in the show’s ability to continue surprising us, even as it bids farewell, but where the previous seasons teased more to come, in the form of answers, explanations and shocking revelations, Season 3 has nowhere left to go, and the resulting conclusion feels both hurried and unfinished. In juggling terms, Fortitude doesn’t just drop the balls, it walks away and leaves them on the ground. Season 1 to 3 of Fortitude are available on-demand through Sky Atlantic, with episodes of Season 3 airing weekly on Thursdays at 9pm. Don’t have Sky? You can stream it live and on-demand with NOW TV. An Entertainment Pass costs £7.99 a month, no contract, with a 7-day free trial. 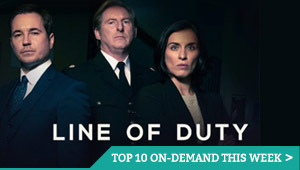 The subscription also includes streaming access to Sky 1 (Arrow, The Flash, Supergirl), Sky Living (Blindspot, The Blacklist) and FOX UK (The Walking Dead).